This simple and bold hand lettered Father's Day is perfect for Dad and it really stands out! 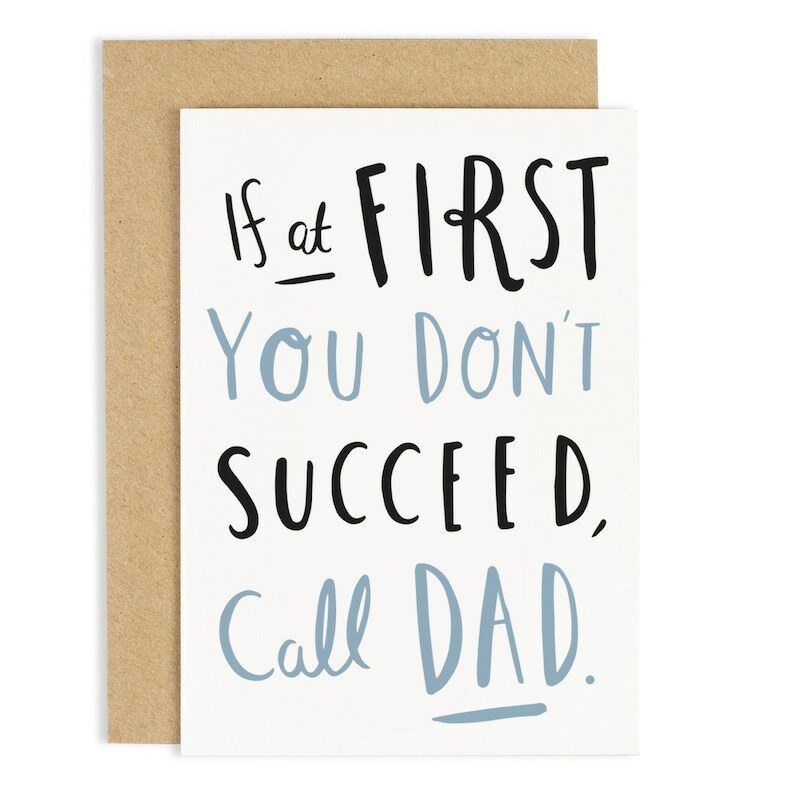 A unique card with the lovely message 'If at first you don't succeed, call dad' - how true! Sure to make your Dad smile! Each Father's Day card is packaged in a protective envelope to ensure your card arrives in perfect condition. Thanks for visiting Old English! © Old English Company. All Rights Reserved. The card is great but I wouldn’t buy from this seller again. Shipping to the U.S. took forever and the first time they sent me completely the wrong card so I had to wait for them to ship me the correct one. Hi, I am sorry to hear the incorrect item was sent out. Shipping to the U.S. can sometimes take longer, especially in the holiday period. Thank you for your order and for your feedback!